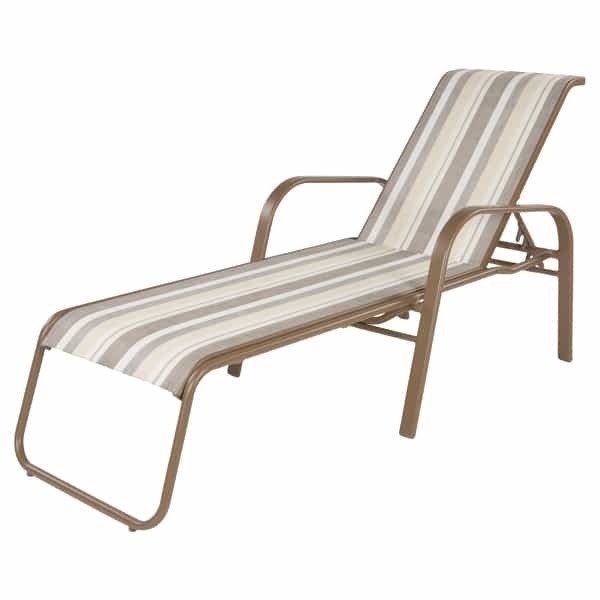 The Anna Maria Chaise is a heavy-duty yet lightweight choice for poolside or anywhere you want to relax. Crafted of carefree aluminum, the Anna Maria Chaise is rust-proof and weather-friendly. The chaise is adjustable and features a comfortable sling seat. Mix or match the Anna Maria Chaise with the Anna Maria Sling Dining Collection in your choice of frame finishes and fabrics. The Anna Maria Chaise is made in the USA.